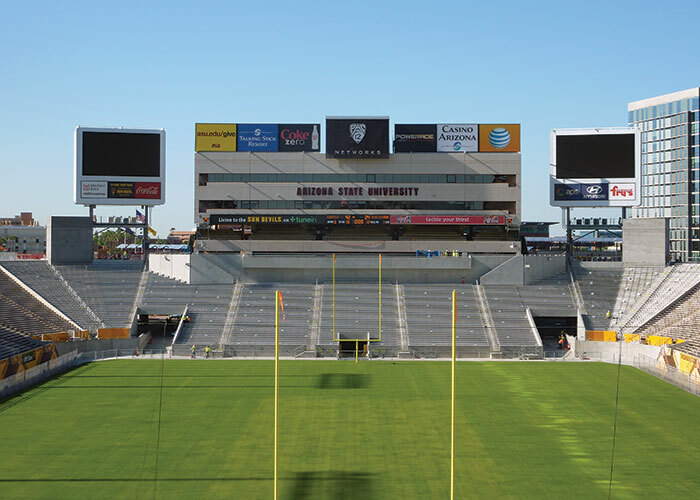 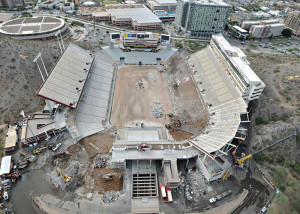 In 2014, MBJ conducted a condition assessment of the entire Sun Devil stadium, followed by the design of a new 6,500-seat south end zone with associated concourses and amenities. 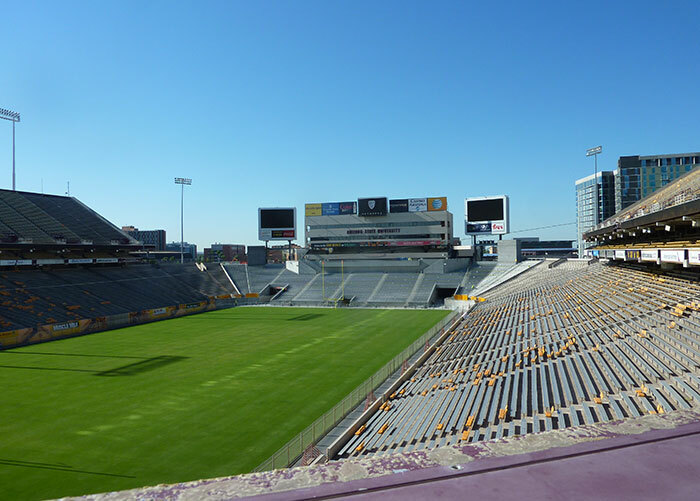 MBJ also provided construction administration for this first phase, which saw the installation of over 500 tons of steel and 3,000 cubic yards of concrete between the 2014 and 2015 football season. 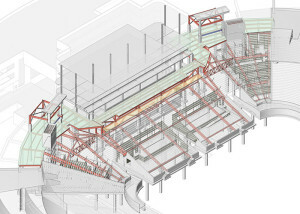 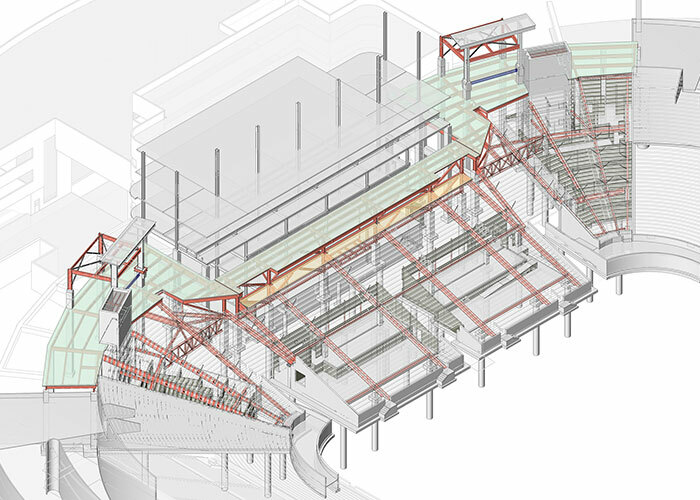 Continuing through 2017, Phase 3 overhauls the east sideline seating and concourse area, with HNTB leading structural design and MBJ as local assist. Construction of this phase will occur during the 2017 off season, completing the project.